If you were asked to store your most valuable data... What kind information would you keep in 130 kB? Your usernames and passwords, your delicious tabs, a PDF with all your tweets, a map as a biography? Do you think this data would be valuable if mapping the genomic code of knowledge at this moment? It would be useful for anyone but you? This challenging question was the start point of this publishing project in the intersection of technology and seed banking. Nature solves all its challenges with an efficient combination of matter and information, activated by inputs of energy. With this project we intend to create seeds... in a crude attempt to imitate nature. 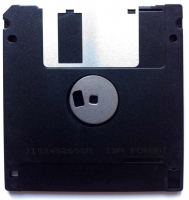 The units of information are kept and spread into square shaped seeds: a series of floppy disks. A floppy disk as a seed? The project is also a complaint, a call of attention on the temporality of the devices we use to keep our information. Is all the information we keep really valuable? Aren’t we collecting data devices filled with useless junk DNA? What happens with our information if “the cloud” evaporates? Would we be able to rearrange key information combining it efficiently? As recent studies of genomic information reveals, the complexity of an organism doesn’t depends on the number of its genes, but in the way it combines them. This publishing project aims to keep essential information from forward thinkers which regularly publish essays, papers, books or are lecturing around the world; but in this case they were faced to the challenge of preserve their most valuable data into a floppy seed, which is also subjected to degradation. Even it can hardly be inserted and read in our current digital hardware! It’s possible that in the future, those basic info units from different seeds will be combined by data geneticists in the hope to reestablish the genetic code of the ideas of this time. Maybe they will keep this basic units in other devices, into new kind of seeds. It have been stored only 99 floppy seeds with 10 submissions each one [genes of 130kB] from key contributors that are stored in all floppy seeds randomly combined with submissions from an open call. Thus each seed is completely different from the other ninety-eight. Aristide Antonas, DEMILIT [Brian Finoki, Nick Sowers and Javier Arbona], Greg J. Smith, Nahrain Al-Mousawi, Pedro Gadanho, Pedro Hernández [La Periferia Doméstica] and Rory Hyde. 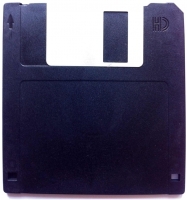 The first floppy seeds were release in a Brutally Early Club in the Venice Biennale 2012. It is said that it was the smallest pavilion ever.